This man was making so much $$$ that his wife said that she can get her hair cut in Belize anymore because she can’t mix with those rif raf people anymore! lol The lady had too much status and showed it! But nothing happen in a vacuum, as there are many staff members living above the salaries they are making and showing it. It seems in that place no one can be honest for long. YOU SEE, THIS IS THE THING WITH THIS ****ING MAN. He has three different inter-contradictory justifications for the same situation and he juggles them to a dumbed-down populace depending on how it suits him. HOW COME the “people of the constituency” did not decide that Yolanda Shakron should run in Lake I for the 2012 elections? No, You decided, using your buddy from the supreme court as interference. Oh, and Channel 5, the former minister was not “disgraced.” Barrow does not have the moral standing to disgrace anyone. Rod come back, we miss you. 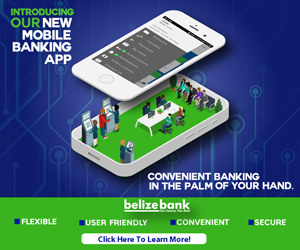 Only in Belize are government officials reached by text..
Congratulations Mr. Penner! Now for the PM, when are you going to take the same action on some of your other ministers who are caught almost weekly in these types of scandals? Why only this minister? Seems like a blatant disregard for fairness or are there other undercurrents at play here? OH MY! the PM means business. does this mean that he will also fire the public officers who do this everyday at the command of people like the Min of Nat Sec? oh! poor barrow he feels very disappointed by his ministers that he’s is starting to firing them, he was deceived. why would someone do something like that to such a humble person (Mr. Barrow). 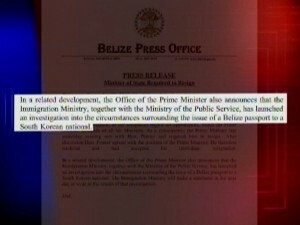 PM why do you keep insisting in taking the belizean people for fools. You know whats going on under your administration and you are responsible for all the corruptions. we hope that this wont happen with the peoples money placed at national bank. Today it was penner, PM, You will be NEXT for elections MR. PM. 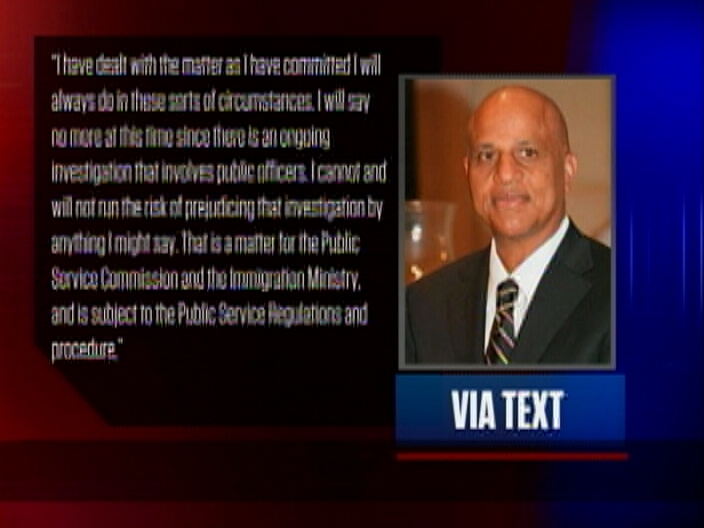 the only reason why the PM fired penner is because INTERPOL intervened, and he no wah luk bad!, otherwise he would defend his minister saying that such thing never happened. The PM must be grieving since Penner gave him a sad independence gift, instead of happy independence day. Can you see all those gray hairs on his head because of the headache these scoundrel ministers are giving him? lol… GOSH!!! How sad? What a pity since he is also lacking a sense of smell! PM the right thing to do is not to only take away from him his Ministerial PERKS. We are still paying him for being the corrupt MINISTER HE HAS BECOME! He need to be kicked out of your UDP party for further disgracing your already disgraced party! Thank God because of Interpol the PM has found a little whiff of the corruption that is now a mountainous stench! What a bad luck for the PM! FIRST THE SIF scandal and now Interpol causes PM TO FORCEFULLY SMELL THE STENCH. As smart as he thinks he is, every body knows that he is trying to make out of these two prevalent corrupt incidences, seem to be like he is THE CHAMPION OF ROOTING OUT CORRUPTION!!! But wait where is our “FIU”??? Thanks Sir Interpol, please bring along to Belize your friend Senor CIA, Sir Scotland Yard and Don FBI to help give the PM some smelling salt so he can eradicate the stench that is overtaking Belize! You remember when the minister’s secretary’s brother was found with Pass port in Cuba, to deliver to the Chinese, the PM said NOTHING WAS WRONG WITH THAT. PM if the mule get $5,000.00 for each pass port delivered, how much are the ones getting, who sent the MULE? If that is not corruption, then we are definitely in deep S**t! If anyone don’t know what is called a mule, for clarity, it is the PERSON WHO TAKE THE PASS PORT TO BE DELIVERED TO it’s OWNERS! By the way where is Sanctimonious Hulse in all this? Penner was picked out because he is a white man. Racism in Belize is alive and well. It does not matter that Penner is a born Belizean it only matters that he is white since his parents are Canadians. PM Barrow only wants people who look like cruffy in power. Lets put all jokes aside! PM should take leave and go some where that nobody know where he is, but in his absence he should ask INTGERPOL TO DO HIS JOB of sorting out the massive whiff of corruption which he is unable to see, smell or hear. The only problem, is that when he want to come back, there will be no government to come back to because all the corrupted ones WILL HAVE BE WIPED OUT. “I was elected by the people to serve and I will continue to do that to the best of my ability.” Says Penner. Gosh, this man have been serving himself extremely well, and still expect that we want him to serve us? Sudden one the man realize he was elected to serve the people! Is this guy fu real? PM we d ask you, “DO AN INVESTIGATION ON THIS MAN, to find out how he got so wealthy in just 6 tiny, tiny years, and TEK BACK EVERYTHING! Will the “Hon.” Penner have to give the $$$$ back? Of course, not! 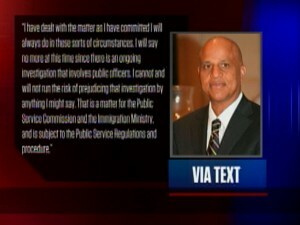 So far, besides speculations or assuming that EVERY top rank supervisor should pay for EVERY wrongdoings at EVERY level in his office, we have not seen a single proof that the former Belizean Minister of State for Immigration was directly involved in this case, much less in others that sure happened if the criminal band at the passports office was an organized one with the purpose or forging identities. We all have to see clear proofs and demand a full investigation, specially searching for previous cases yet to be known, and their modus operandi. Anything else used to jump to conclusions in public media will be false… Or maybe intentionally misleading judgment?